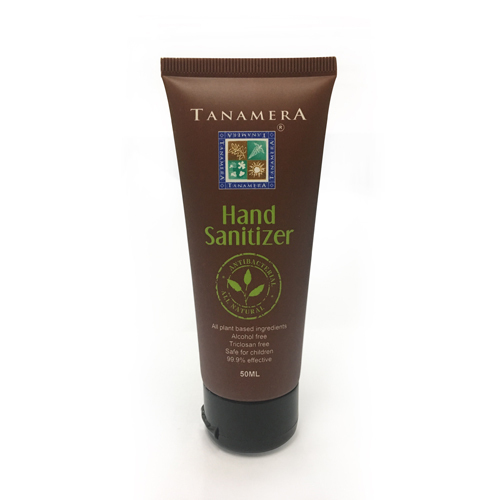 All natural anti-bacterial Hand Sanitizer to their range of eco-friendly products.Tanamera’s Hand Sanitizer combines leading antimicrobial with all natural plant based ingredients that are non-toxic and 100% alcohol free. The hand sanitizer is able to kill bacteria & molds in 5 seconds, which is faster than any hand sanitizer in the market and it is 99.9% effective. This specially blended formula not only helps to kill bacteria and germs but also helps to naturally restore skin's moisture, which in turn, promotes good microbiological fauna on the skin. It is also suitable for all ages especially children.